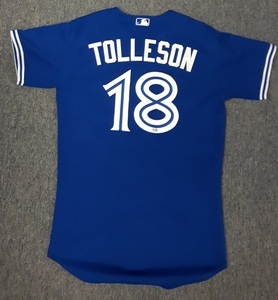 Blue Jays Shop | Toronto Blue Jays Authenticated Game Used 2014 Jersey - #18 Steve Tolleson. Tolleson went 0-for-1. 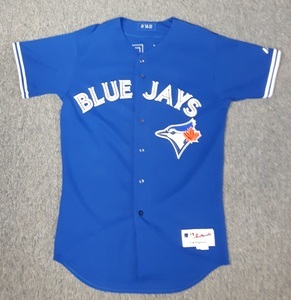 Toronto Blue Jays Authenticated Game Used 2014 Jersey - #18 Steve Tolleson. Tolleson went 0-for-1. Jersey from August 30, 2014 vs New York Yankees. 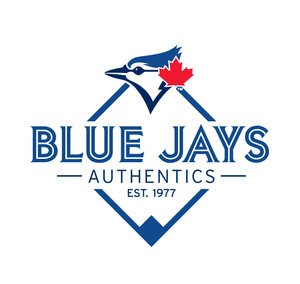 The Blue Jays won 2-0. Tolleson went 0-for-1.